Featuring a premium carved Torrified Sitka Spruce top, and seasoned figured maple back and sides, the handcrafted MT offers professional level tone and playability in a simple and understated appointment package. An ultra thin all-nitrocellulose lacquer finish and individually graduated tonewoods provide ringing sustain, a wide dynamic range, and impressive responsiveness that can rival instruments at considerably higher price points. 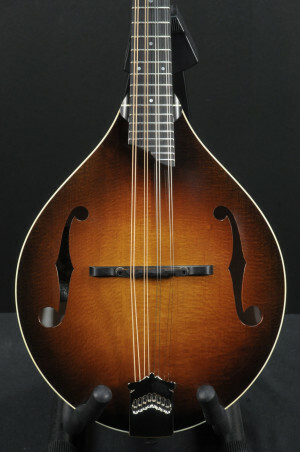 John D’Angelico’s original archtop design is legend, and the EXL-1 is its modern-day counterpart. True to the original in every detail and upgraded for 2018, the EXL-1 features a USA-made Seymour Duncan Johnny Smith Floating Mini-Humbucker to maximize the acoustic tone of its commanding 17-inch-wide, 3-inch-deep body. Art Deco-inspired details frame the EXL-1—with a scroll-style neck bevel, mother-of-pearl inlays on an ebony bridge, and split-block inlays on a pau ferro fingerboard. D'Angelico's flagship archtop—now available in the Premier Series. Crafted from John D’Angelico’s original design, the Premier EXL-1's balanced, organic tone captures the unmistakable sound of a New York jazz box. Couple that with signature D'Angelico features in the Stairstep tailpiece and iconic headstock, the EXL-1 embodies elegance. Its single floating mini-humbucker highlights its naturally punchy mids and warm acoustic edge. 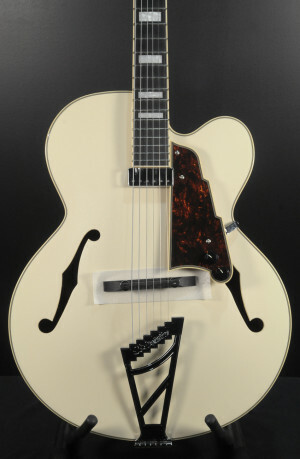 Designed for jazzers at every turn, the Premier EXL-1 is the finest archtop in its class.